HaemoCer™ PLUS APH incorporates a sophisticated, plant-based polymer crosslinking that creates ultrahydrophilic, biocompatible particles. Upon contact with blood HaemoCer™ PLUS enhances the natural clotting cascade by rapidly dehydrating the blood and accelerating the concentration of platelets, red blood cells and coagulation proteins at the bleeding site. 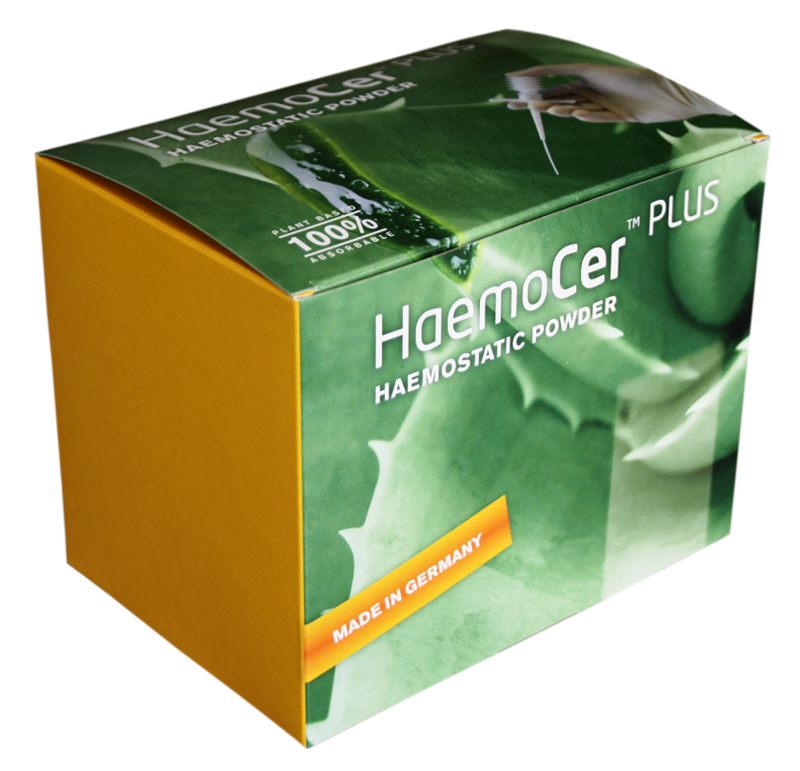 HaemoCer™ PLUS also on blood interaction rapidly produces a gelled matrix that adheres to and forms a mechanical barrier with the bleeding tissue. • Treatment of diff use and localized bleeding. 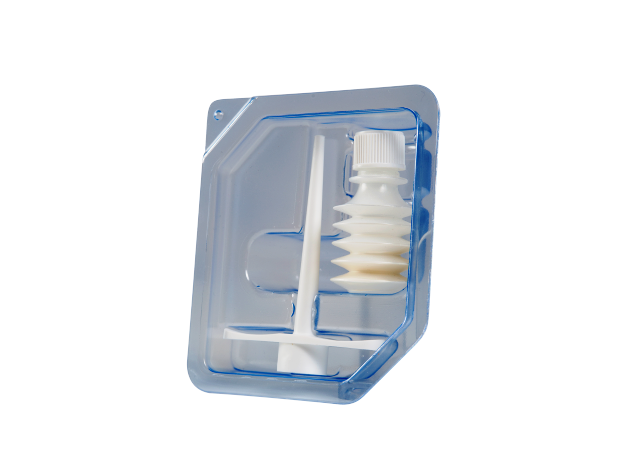 • For bleeding around suture lines. 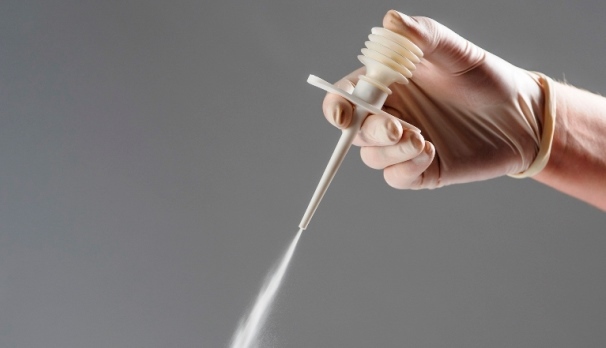 • Substitution of fibrin glue for haemostasisin vascular surgery. • Substitution of bone wax in bone bleeding. 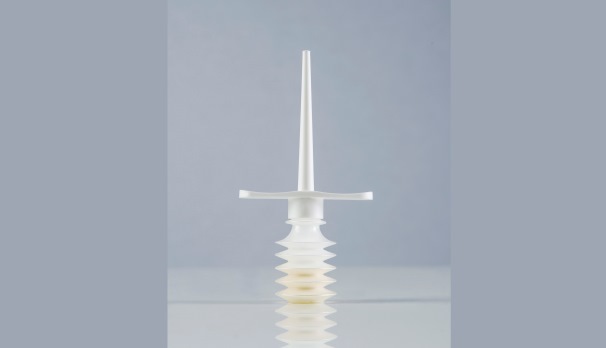 • Reduction in the need for electro cautery and associated tissue damage. • Use with compatible filter cell-savers. • Cardiac, Vascular and Thoracic Surgery. • Oral and maxillofacial Surgery. Contains no animal or human components. Rapid resorption minimizes risks of foreign body reaction and granuloma formation. Reduction of homologous transfusions abd blood donations. Compact packaging reducing storage volumes. Rapid off-the-shell deployment, no special storage defrosting.